The Cat® D11T is designed with durability built in, ensuring maximum availability through multiple life cycles. By optimizing performance and simplifying serviceability with our modular design, our machines move more material efficiently and safely at a lower cost per ton. Get more done at the lowest cost per unit of material moved. The Cat® D11T offers design improvements that make it easier to operate, be more productive and meet emissions requirements. These include Enhanced Auto Shift (EAS), Aluminum Bar Plate Radiator, Automatic Climate Control, Automatic Ripper Control, Improved Access/Egress, Ground Level Service Center, and U.S. EPA Tier 4 Final Cat C32 engine for sale in the U.S. and Canada. Helping you get more done with maximum availability, the durable design of the mainframe makes repair and maintenance easy. The D11T/D11T CD mainframes are built to absorb high impact shock loads and twisting forces during severe dozing and ripping applications. It is not uncommon to see these machines rebuilt several times using the same frame, with only minor welding. • Frame rails have a full box section design which keeps components rigidly aligned. • The main case, equalizer bar saddle, and front cross member are heavy duty steel castings incorporated into highly loaded areas of the mainframe to improve stress distribution for improved durability. • Top and bottom rails are made from continuous rolled sections which provide superior mainframe durability. • The main case elevates the final drives well above the ground level work area to protect them from impact loads, abrasion and contaminants. • The pivot shaft and pinned equalizer bar maintain track roller frame alignment and allow the roller frame to oscillate for smoother ride. • Heavy cast saddle has a ribbed design which increases frame life. • Tag-link blade mounting brings the blade closer to the machine for excellent maneuverability, machine balance and blade penetration. Implement and Steering Controls The Finger Tip Controls (FTC) require less effort and are more comfortable for long periods of operation. Electronic controls eliminate direct mechanical connections to the power train, resulting in reduced noise and vibration inside the cab. Low effort and comfortable to grip, the electronic dozer joystick gives the operator control of all dozer functions with the right hand. A rigidly mounted handgrip on the electronic ripper control provides firm support for the operator even when ripping in the roughest terrain. Low effort thumb lever controls raising and lowering. The D11T/D11T CD cab provides ergonomic controls, intuitive monitoring systems, and enhanced visibility. All of these features provide the D11T and D11T CD an industry leading operator environment that helps contribute to high levels of productivity, efficiency, and comfort. • The operator station offers an exceptional viewing area.The tapered hood, notched fuel tank, and narrow ripper carriage give the operator a clear line of sight to front and rear work areas. • The automatic climate control system automatically adjusts heating and air conditioning controls to maintain a consistent cab temperature throughout the day. • The Cat Optimized Seat has a six way adjustment controlfor optimal support and comfort. Seat side bolsters restrain side-to-side movement, especially when working on side slopes. • The combination dash mounted instrument cluster and the right console mounted Advisor Monitoring System display key machine operating information and give operators and service technicians insight into the machine’s operation and maintenance needs. 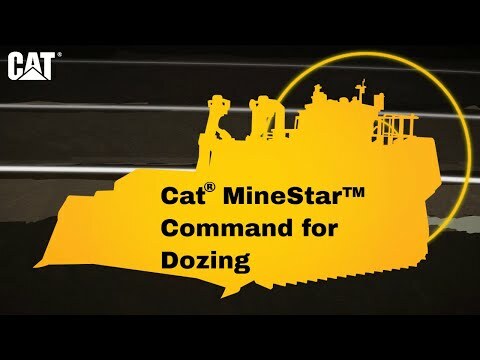 • Slope and Side Slope Monitor is standard allowing operator to understand terrain better to improve dozing performance. Additional features include: • Entertainment radio ready and IPOD/MP3 player ready. • Communications radio mounting. • Power plug-in on the right side console (12-volt laptop and wireless phone compatible). • Finishes that make the cab easy to clean. • Optional heated and ventilated seat. The modular design of the D11T provides excellent serviceability and turnaround time. A key advantage of the D11T’s modular design is the ability to swap out a component with a pre-tested rebuilt or remanufactured unit that puts the machine back to work faster. So, reliability and overall uptime is high, repairs and upkeep costs are low. 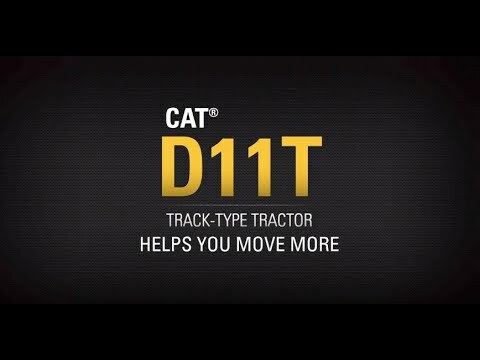 Modular design translates into more time on the job for the D11T compared to competition. Ground Level Service Options The ground level service center mounted on the ripper cylinder or counterweight provides easy access to: • Secondary engine shutoff • Access lighting switch • Fast fuel • High speed oil change (optional) Ok-to-Start The Ok-to-Start strategy provides electronic fluid level verification at startup on the power train and engine oil systems. All information is available via the Advisor Monitoring System within the cab. Fast Fuel System The fast fuel system, with positive fuel shut-off to prevent fuel spillage, can reduce fuel waste and decrease downtime. The D11T electronic systems have been completely integrated to function as one machine. This integration creates a smart machine and more informed operator maximizing the productivity of both. • VIMS™ 3G – This system gathers historical trends, histograms, events and more through a wired connection for off-board analysis in applications such as VIMS PC. • Automated Blade Assist (ABA) – Increases efficiency while reducing operator workload. ABA makes use of preset blade pitch positions. ABA is standard on the D11T/D11T CD. • Enhanced Auto Shift (EAS) – EAS improves fuel efficiency by automatically selecting the optimal reverse gear and engine speed combination based upon power train load and desired ground speed. • Advisor Monitoring System (AMS) – AMS is used to monitor and display operating characteristics, diagnostics and events, system operational totals, and modes of operation. It is also used to view and change operator preferences and parameters. AMS benefits both the operator and service technician to improve productivity and lower operating costs. • AutoCarry™ (optional) – Provides automatic blade control during the carry segment of the dozing cycle by measuring ground speed and track slip with a robust Global Navigation Satellite System (GNSS) chassis mounted receiver. Blade position is changed automatically to keep slip at optimum level for best performance. It is intended to enhance the operator’s productivity in high production earthmoving applications with carry distances over 30.5 m (100 ft). • Automatic Ripper Control (optional) – Helps to reduce operator fatigue and decreases wear and tear on the machine. This is done by monitoring the tractor speed with the new ROPS mounted GNSS to automatically adjust engine speed and ripper depth to minimize track slip. 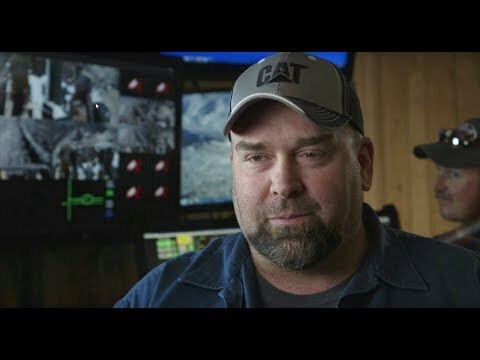 • Cat Product Link™ (optional) – Product Link enables the remote transmission of information about the location, operation, and condition of your equipment. Efficiently and effectively monitor performance of your assets to help keep your jobs on schedule, maintain equipment condition, and reduce the costs of owning and operating your fleet. Take a look at the D11T side by side with other models. Browse through these photos and videos for a closer look at the D11T and what it can do for your operation. Wherever you want to go from here, the D11T is ready. You can get in touch with us in a variety of ways. Check out our inventory of new, rental and used equipment. Connect with your local dealer, ask our experts for advice or read what's happening in the customer forums.